Went to an advanced screening of Guardians of the Galaxy yesterday! Everyone was really excited, and I was told it was one of the most sought after movie screenings of the year! Luckily, my friends and I still managed to snag great seats! Guardians revolves around a kid called Peter Quill, who had been separated from his family on Earth when he was young. He got abducted to another planet. He becomes a ravager (think space pirate), but amongst one of his missions to steal a mysterious metal sphere, he decides to sell it off to make a profit instead. Turns out there’s a lot more to the sphere than we all though. 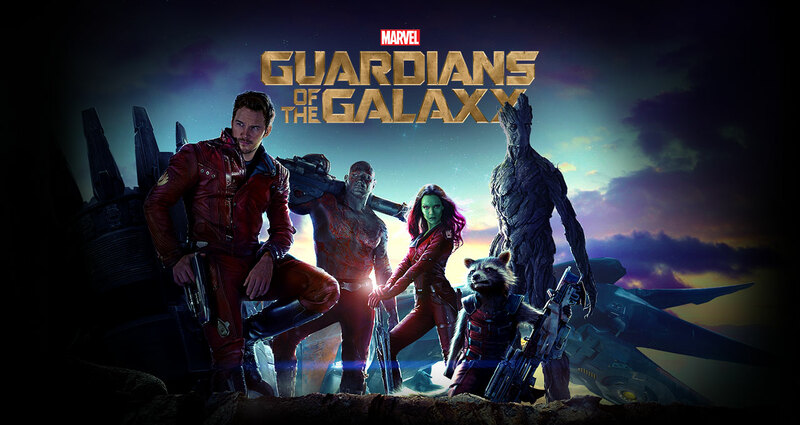 In order to save the universe from destruction, a group of unlikely heroes work together and form the Guardians of the Galaxy. I had hopes for not crying in this film. Judging from the trailer and what I’ve heard about it, I expected it to be all laughs, but there were quite a few moments where it was (very) touching. In regards to this movie as opposed to the other recent ones set in the Marvel universe, be prepared to not have our own planet earth to ground yourself to the story. Very little of this movie happens on Terra, but instead we get introduced to different planets and zoom around space for a good part of it.